Home theaters have rapidly become a common part of modern homes, offering picture and sound quality that rival those of traditional movie theaters. The advent of high definition televisions and the increasing sophistication of home audio systems mean that homeowners don’t have to skimp on the bells and whistles to get a stunning home viewing experience. Here in Hartford, electrical companies can usually help install a home theater system, and it’s usually a good idea that they do. Home theaters require more than just plugging in a few appliances. Most systems use multiple components: the television or projector, the DVD or Blu-ray player, the cable box, the stereo system and however many speakers you wish to include (usually anywhere from five to ten). All of them require proper organization and connections, as well as an evenly balanced power load. An electrician can help distribute that load evenly, and make sure your system can handle the demand without tripping the circuit breakers. Some systems need to be hard wired into your home, something which should only be done by a professional. All of those components need to be connected to each other, and in the case of speakers must sometimes run the length of the entire room in order to do their job. An amateur job may leave wires in a dangerous tangle or stretched across parts of the room such as doorways and walkways. An electrician can run the wiring through the walls, as well as keeping the connections safe and clear to ensure the best viewing experience possible. 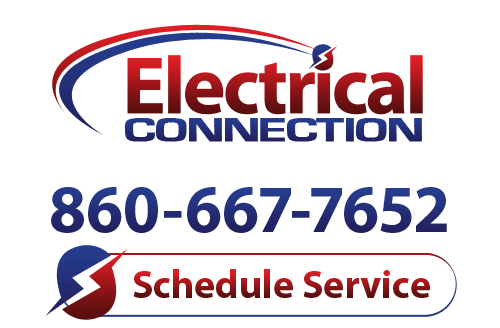 If you know why to hire an electrician for your home theater installation, then next step is to call the experts at Electrical Connection, Inc. We are here for any Hartford electrical services you need. Call us today and let us show you what we can do!